Each morning, we walk around the farm and we watch the grass turn a vibrant green before our eyes, and the trees begin to grow buds which will evolve into leaves in the coming weeks. Everything is more green than we seem to remember, and maybe that is because we have been looking at snow for so long! The horses are looking longingly at the grass and we will wait until the ground hardens to let them out. If we were to let the horses into the paddocks while they are still soft, they would likely make big holes in the field. 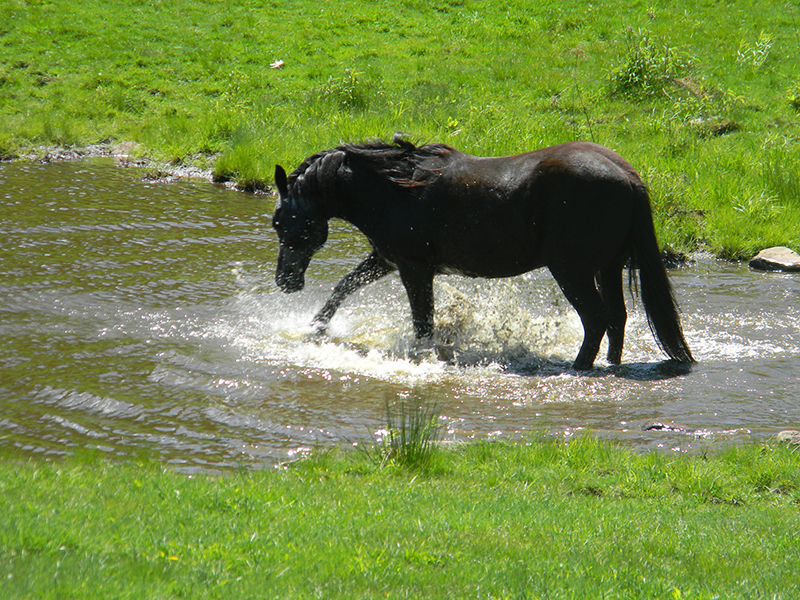 With the weather treating us so well, the paddocks are almost completely dry and the horses are frolicking in the sunshine each day. Springtime at this New England horse camp has arrived!